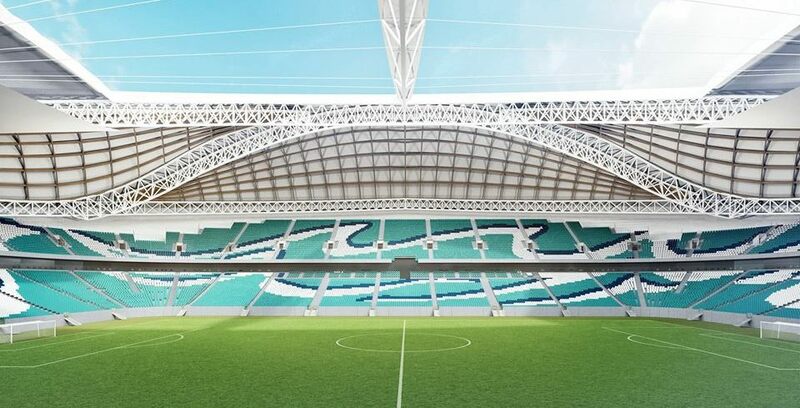 Coastal Qatar with their strategic partners Nowy Styl Group will deliver roughly 140,000 seats or, in other words, all the seating needed by Al Bayt Stadium (60,000), Al Wakrah Stadium (40,000) and Al Rayyan Stadium (40,000). These are the first three venues with seating contracted, which means 5 more are to be determined. All three stadiums will use the Abacus seating line, known from numerous stadia across Europe (Parc OL, Allianz Riviera, Groupama Arena and Arena Zabrze). Abacus was designed by Arup and won a 2009 FX International Interior Design award in the ‘public, leisure or workplace furniture’ category. Vast majority of the seats will be manufactured in Qatar. A new state-of-the-art factory was opened yesterday in the Al Rayyan area of Doha. The factory will be able to manufacture 500 seats per day. Some seats however, including VIP and media seating and secondary elements, will be delivered by Forum Seating in Poland. 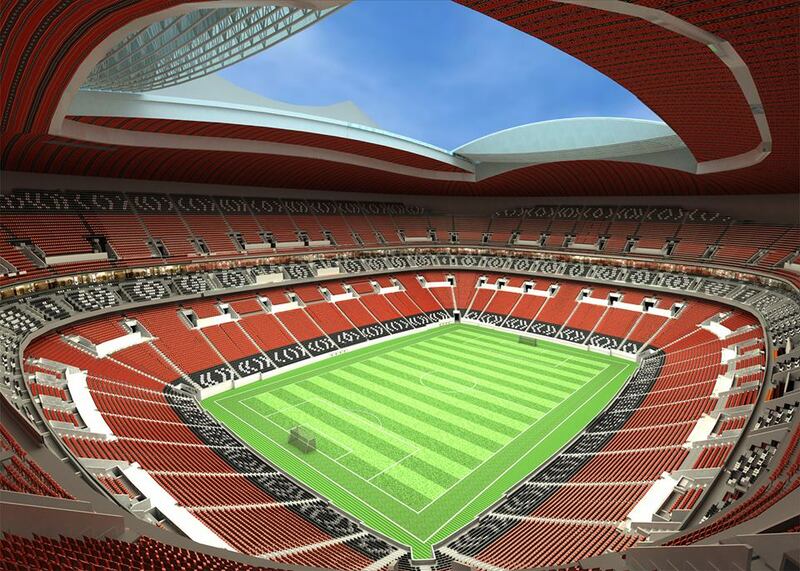 Sheikh Mansour bin Jabor Al-Thani, Chairman of Coastal, said: “It is an honour to be selected to provide the seats for three of Qatar’s futuristic stadiums for 2022 with technology transfer from Forum Seating." On the occasion of the contract signing and factory opening, renderings of the final seating layout were released for two stadiums. 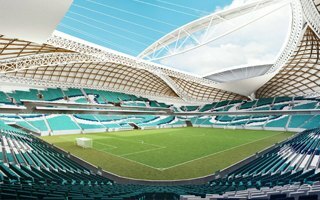 These are the Zaha-Hadid-designed Al Wakrah Stadium (ocean-inspired ones, above) and Al Bayt Stadium (with traditional ornaments, below). 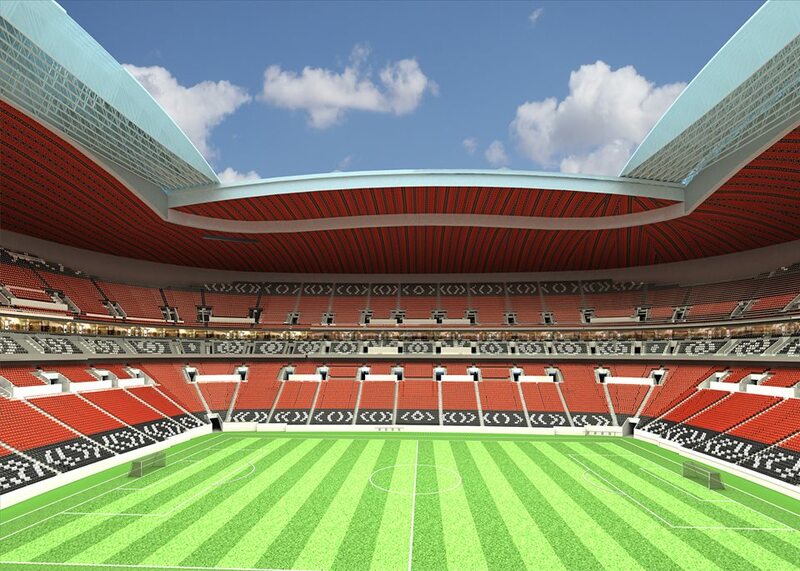 The first seat ‘Made in Qatar’ will be installed in Al Bayt Stadium in December 2017.